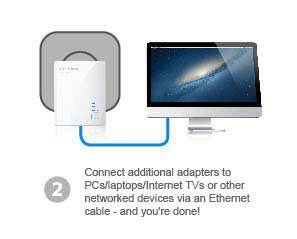 The TL-PA2010KIT AV200 Nano Powerline Adapter Starter Kit by TP-LINK uses your home's existing electrical wires to create or expand your home network. With no additional wiring required, you can simply plug the TL-PA2010KIT into existing power sockets and instantly establish a networking infrastructure. With high-speed data transfer rates of up to 200Mbps, you can enjoy HD video streaming, online gaming, VoIP, or any other bandwidth intensive tasks. 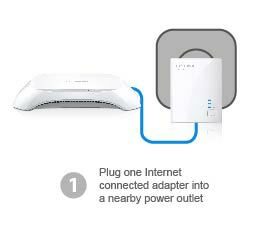 Plus, its miniature design gives you the flexibility to plug it in anywhere in your home. 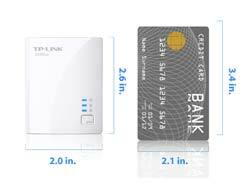 With its new ultra-compact housing design, TP-LINK's TL-PA2010 is considerably smaller than TP-LINK’s legacy mini 200Mbps Powerline products. 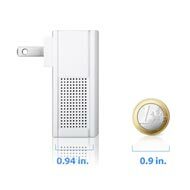 Made out of an elegant white shell that’s just 1.1 inches thick, it nearly blends into any power outlet. 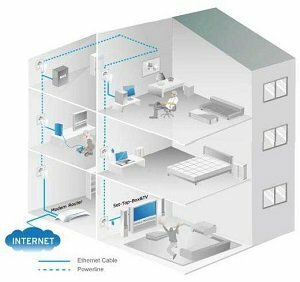 With advanced HomePlug AV technology, TL-PA2010KIT provide users with stable, high-speed data transfer rates of up to 200Mbps on a line length of up to 1000 feet. 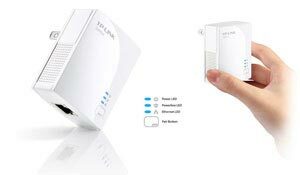 Together, with its built-in powerful AES encryption, the TL-PA2010KIT is a great choice for an entire home solution to connect all network compatible devices – from computers and game consoles to printers, NAS hard drives, and set-top boxes for IPTVs. Press the encryption buttons - and you're done! The TL-PA2010KIT employs a sophisticated Power-Saving Mode that consumes significantly less power when compared to your average Powerline Adapter. 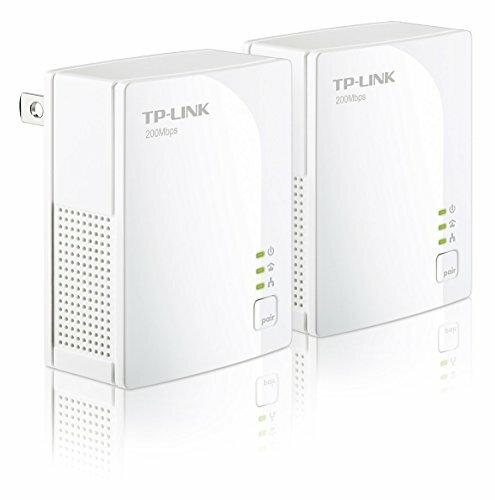 When there’s no reception or data transmission over a certain period of time, the TL-PA2010KIT will automatically switch from "Working" Mode to "Power-Saving" Mode. This will reduce its energy consumption by up to 75 percent. 2.6 x 2.0 x 1.1 in. Which powerline adapter is right for you?